A top conductor who led the Fron Choir to global fame is on a new mission. 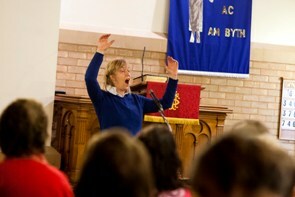 Ann Atkinson has launched an appeal for more men to join her new choir to perform at the North Wales International Music Festival in St Asaph from September 22-29. The mixed choir is largely made up of singers who were in the choir that was formed especially for National Eisteddfod in Wrexham last year. Many of the members enjoyed the experience so much that they wanted to carry on singing with Ann who conducted them at the festival. Nearly 70 singers have already come forward but they are short of men to fill the ranks of the basses and tenors. For those who would like to join, the next rehearsal is at Ebeneser Chapel, in Chester Street, Wrexham, at 7pm, on Tuesday, February 28. One of their first projects is to prepare for the International Music Festival which is celebrating its 40th anniversary at St Asaph Cathedral this year. They will be singing The Armed Man, a mass by the globally acclaimed Welsh composer, Karl Jenkins, in the presence of the great man himself. Ann, a talented mezzo soprano in her own right, is also the Artistic Director of the festival. The cathedral was chosen as the venue for the festival by its founder, the royal composer William Matthias, who wrote the anthem, Let the people praise Thee O God, for the wedding of Prince Charles and Princess Diana. According to Professor Matthias, one of his greatest achievements was the creation of the hugely popular music Festival in 1972. He visited every potential venue in North Wales before deciding that St Asaph Cathedral provided the very best acoustic setting for the event. 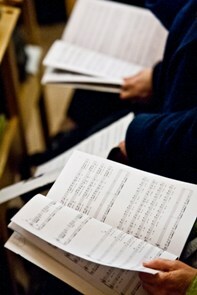 For more information about the choir, please contact Gareth V Jones by ringing 07772 601667.